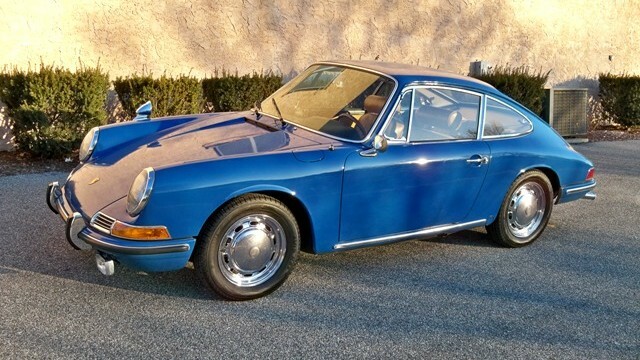 1966 912 European Delivery » Specialty Cars Service Center, Inc.
Gulf Blue exterior / brown leatherette interior. 56,677 kilometers / 35,300 original and documented miles. 5-speed transmission (902), original chrome wheels and all 5 date stamped. I have worked on this car for more than 35 years and it is the cleanest and most original unrestored 912 I have ever seen.